Grace has Crohn’s disease, an inflammatory bowel disease you can’t see from the outside. The condition can be painful and requires her to make a lot of bathroom stops. Instead of putting up with rude onlookers, she designed a bathroom sign that includes both a person in a wheelchair and a standing person with a heart, symbolising people with invisible conditions. Then she took it a step farther. She launched “Grace’s Sign” campaign to get buildings near her home in Edinburgh, Scotland, to hang the signs up. The Scottish Parliament installed the signs on three of its accessible bathrooms. 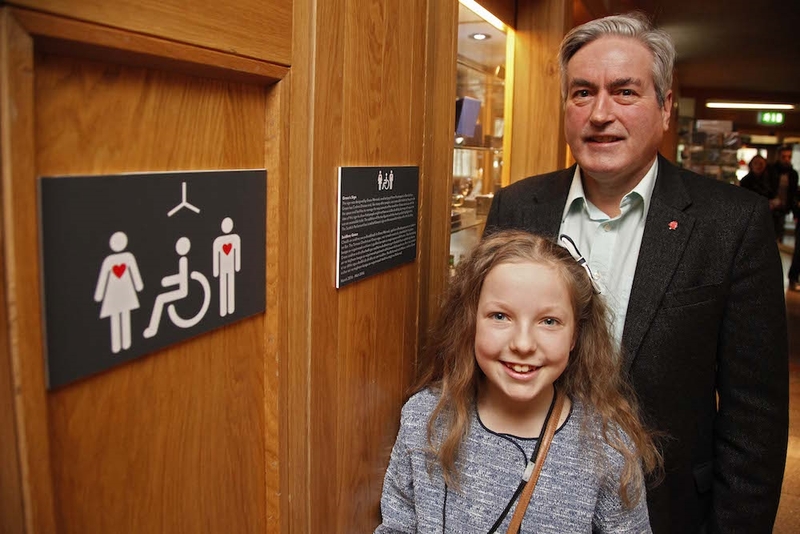 “Using Grace’s Sign at accessible toilets on the parliamentary estate sends out a powerful message to others across Scotland that these toilets are there for everyone with a disability, regardless of whether or not it is ‘visible,'” Scottish Parliament member Iain Gray, who backed Grace’s campaign, told Edinburgh News. Follow along with the “Grace’s Sign” campaign on Facebook.